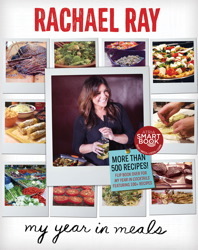 Rachael's Ray latest cookbook is My Year in Meals. The cookbook is written in the form of a diary with a recipe for each day of the year. Recipes cover every course including appetizers, soups, salads, main dishes, sides, and desserts. Although I may not prepare the dishes as Rachael has designed them, I found plenty of recipes that attracted me such as Chocolate Cupcakes with Bacon-Cream cheese Frosting, Deviled Ham and Eggs, Simple Hash, Sloppy Dawgs, Chicken and Biscuit Sliders, Mexican Rice, Chicken Piccata with Pasta and Asparagus, Buttery Tomato Spaghetti, Chicken and Biscuits, Creamy Chicken and Noodles, and Chicken Vesuvio. After I chose which day I would test, I chose to "Cook it Forward" and share the cookbook with a good blogging freind of mine, Lark from Lark's Country Heart. Lark made Buffalo Chicken Meatballs so click on over and see the recipe. I'm sure you'll love it! I was attracted to this recipe because of the spices used in it, plus this was the entry for April 6, 2011 which is my wedding anniversary. I knew it would be a dish that both my husband and I would enjoy. Now, first of all, I know this is a lot of spices. Since I like to pick up different spices here and there, I just happened to have them. I used smoked paprika instead of smoked black pepper. This recipe is definitely designed for those of you who already have an extensive selection of spices. 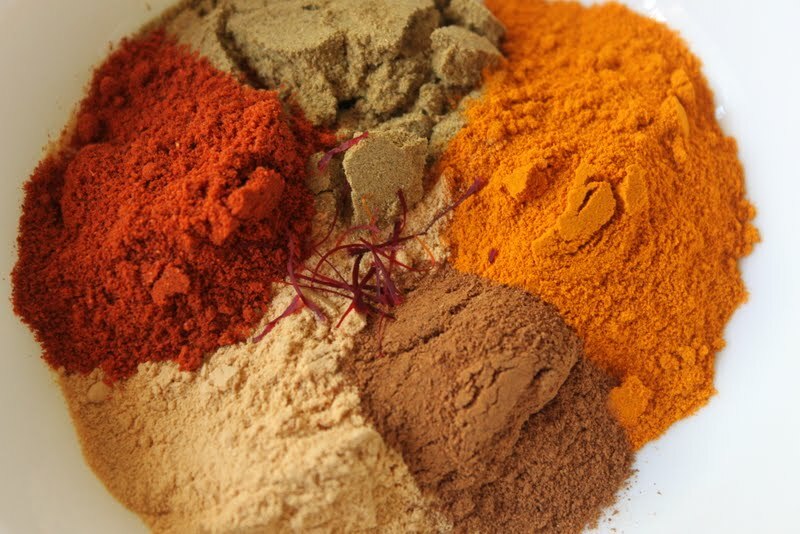 It would be quite pricey to go out and purchase all of these spices at once. I don't recommend doing that. That being said, the spice blend smells incredible. Before he was born, my husband's family traveled extensively throughout the world for his father's job. His mother was influenced by the countries they lived in and used a lot of spices in her cooking. The smell of these spices brought back a flood of memories for him from his late mother's kitchen. Season the chicken with salt and pepper to taste. Working in batches, in a large Dutch oven or heavy-bottomed skillet, heat the EVOO (3 turns of the pan) over medium-high heat. Add the chicken and brown all over, transferring to a pate as it's cooked. At the butter to the pan and when the butter foams, add the onions, lemons, bay leaves, and olives; stir and season with salt and pepper to taste. Sprinkle in the coriander, cumin, ginger, tumeric, smoked black pepper, cinnamon, saffron, and cardamom. Stir that until it's very fragrant. Sprinkle in the flour and stir that to cook out the flour. Add the stock, slide the chicken back in, and simmer until the chicken is cooked through, 8 to 10 minutes. 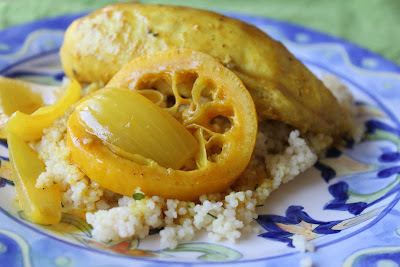 Serve over couscous. 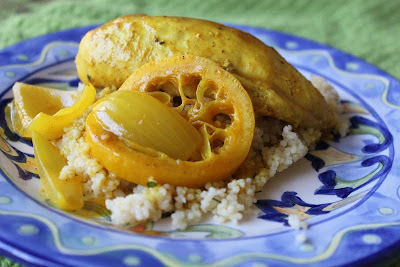 What I did: I didn't have the luxury of having access to Meyer lemons so I used a regular old lemon. It seemed to work just fine. I did not use olives because we hate them. I also used boneless chicken breasts instead of bone-in chicken.